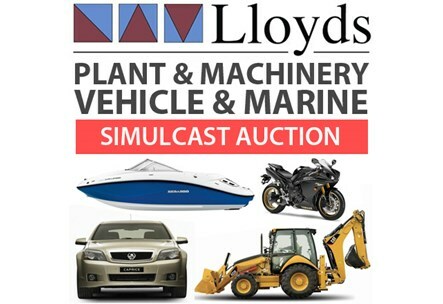 Join in the fun at Lloyds Auctions or bid online for this simulcast Plant and Machinery Auction. Simulcast auctions are run by an auctioneer in our live auction house, whilst simultaneously being available to online bidders. Bidding is called for on each item, and sold to the highest bidder by the auctioneer, whether they are on the premises or competing from home over the Internet. Items are typically from a mixture of ex-government assets, finance company repossessions, liquidations or private sellers. Well known brands appearing in our Plant & Machinery Auctions range from Holden, Ford & Toyota vehicles, to Bayliner boats, Yamaha outboard motors, John Deere, Komatsu & Caterpillar Earth-moving machinery. Browse this category today or keep an eye out for the next weekly clearance auction.